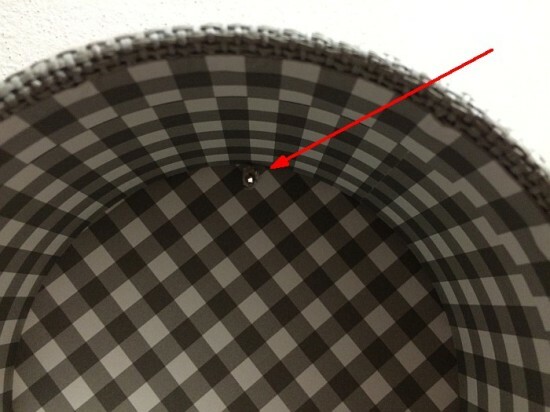 At that time the Swedish furniture retailer proves that all brilliant - just. 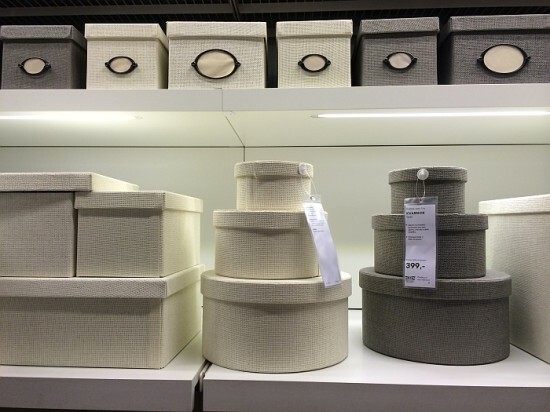 It gave rise to the popularity of the ordinary IKEA boxes in the interiorAs an attribute store various small items. The company's catalog there around 20-ku different models of various shapes and styling. The heroine of our modifications - box KVARNVIKDesigned to store jewelry, scarves and other accessories. Offer you their unusual application. Despite the fact that we spend in the hallway just 10-15 minutes from our common daytime, arrangement of the room is very important. Interior hallway must have features of minimalism and comfort. And so before you leave home do not waste time looking for scarves, gloves, or anything else, place them on boxes KVARNVIK. 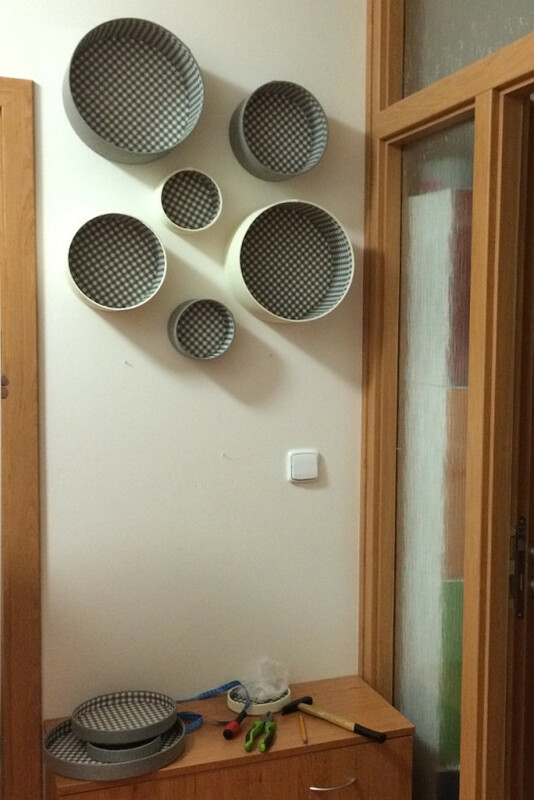 With their help, we will not only solve the storage function, but will produce wall decor. We use two views in directory colors - gray and white. This model is also good because it is made in various sizes and has an interior decoration boxes in the form of print. 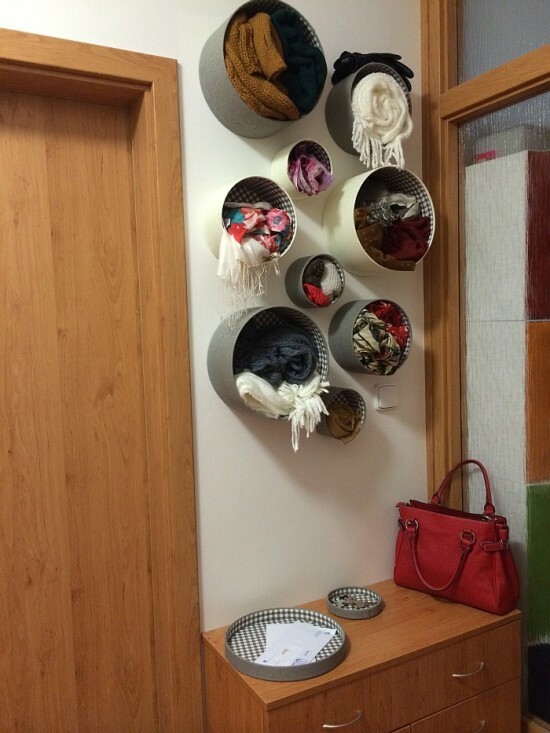 As you know, the whole idea of ​​alterations that would attach to the wall of the box, and then fill them with content scarves, gloves, hats, and other similar items. Simply. Original. It only remains to add that such a wall decor can be easily transformed. 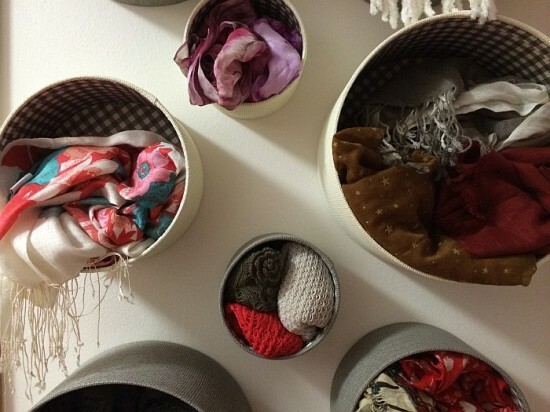 If necessary, you can always add another box for the newly purchased scarves. After all, with our changeable weather of little does not happen.